PPMD awards $600,000 for Duchenne research study, Ekso Bionics will gain orders. The nonprofit organization, Parent Project Muscular Dystrophy has awarded a $600,000 grant to the New Jersey Insititute of Technology and Talem Technologies. The grant is focused on a two-year study on prolonging independence for children and adults suffering from Duchenne muscular dystrophy. The full article can be found on EurekAlert! PPMD awards $600,000 to NJIT and Talem for Duchenne muscular dystrophy exoskeleton. Duchenne muscular dystrophy causes the absence of the protein dystrophin. Dystrophin is a protein that keeps muscle cells intact from natural wear and tear. It is found primarily in boys and symptoms become apparent in early childhood. The absence of the protein causes degradation and functional loss in the legs and later in the arms. For more information, refer to MDA.org. Once Duchenne muscular dystrophy sets in, the affected individuals lose the ability to walk. This is counteracted by the use of a wheelchair and later a powered wheelchair. However, the condition continues to progress and the arms become too weak to be useful. It is stipulated that an assistive fixed frame (fixed to the wheelchair) upper body exoskeleton can be used to keep the arms functionally useful for much longer. How will the solution be implemented? For patients who are just now beginning to lose control of their arms, a passive spring loaded exoskeleton will be sufficient to act against the force of gravity and support the full range of motion of the arms. 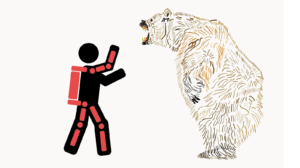 As the condition progresses, the passive exoskeleton will be replaced with a powered one or motors will be added to the passive wearable that is already in use. Thirty participants living with Duchenne who have lost the ability to move on their own will be recruited for the study. The initial passive exoskeleton will be provided by Talem Technologies. The wearable incorporates the X-Ar passive arm. The active/powered exoskeleton will be designed in collaboration with Talem Technologies and the New Jersey Institute of Technology. Exoskeletons designed for children are rare. With a few exceptions, pediatric exoskeletons do not get much funding or attention. Wearable robotics are already difficult to integrate to the users’, and children tend to grow rapidly and change their body morphology. This adds an additional wrinkle and a challenge to an already complex landscape. With all of the medical background, you might be wondering at this point how did this article make it to the financial section!? Well, it turns out that the Parent Project Muscular Dystrophy provided Talem Technologies a similar grant in 2015. Talem used the initial funding to test the X-Ar passive arm support with patients. If the name X-Ar sounds familiar to you, it is because Talem performed the initial feasibility study with the help of the manufacturer of X-Ar, Equipois. Equipois has since been purchased by Ekso Bionics at the end of 2015, Ekso Bionics Acquires zeroG™ Technology. Now that the Parent Project Muscular Dystrophy nonprofit is again funding Talem to continue working with the X-Ar as an initial device for people with milder Duchenne symptoms and potentially motorize it for those with more severe arm functional loss. They are effectively funding orders for Ekso Bionics. Thirty study participants at two X-Ar spring arms per person is sixty units, which is noticeable. The Exoskeleton Industry is finally maturing. This entire story can be interpreted as a sign that the exoskeleton industry is finally beginning to fill in all of the gaps and is coalescing together. In this case, the actions of a nonprofit organization with a history of fighting Duchenne muscular dystrophy can be traced to Talem, a Detroit-based company which in turn relied on Equipois technology which is now part of Ekso Bionics. 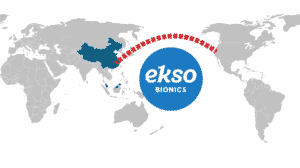 This will lead to direct revenue for Ekso Bionics, which in turn can continue to invest in R&D efforts for more passive upper body exoskeletons (like the Ekso Works Vest which is scheduled to be officially released later in 2017). The new Ekso products can then be integrated to make better support arms for those suffering from Duchenne, completing a positive feedback loop. Just like in more established industries, the exoskeleton field is becoming more interconnected. Companies and research groups are starting to rely less on making everything in-house and instead are striving to identify business partners based on their strengths and product portfolios. I think, and I could be very wrong about this, in mature industries we have positive feedback loops. Take computer games. For years, no one really cared about computer games except for a small community. Then chip makers started making faster computers, video card makers made better graphics cards, which then made more visually pleasing computer games that appealed to a much greater demographic which then increased computer sales and created a demand for better chips. Personally, I hope that this is what we are seeing here. Myomo becoming an innovation leader in technology and business!